This one was unexpected, Corsair just introduced a brand new SSD line based on a new controller by Link a Media Devices (LAMD). The Neutron drives will be available in two versions: regular and GTX, with the difference being ONFi vs. Toggle NAND. 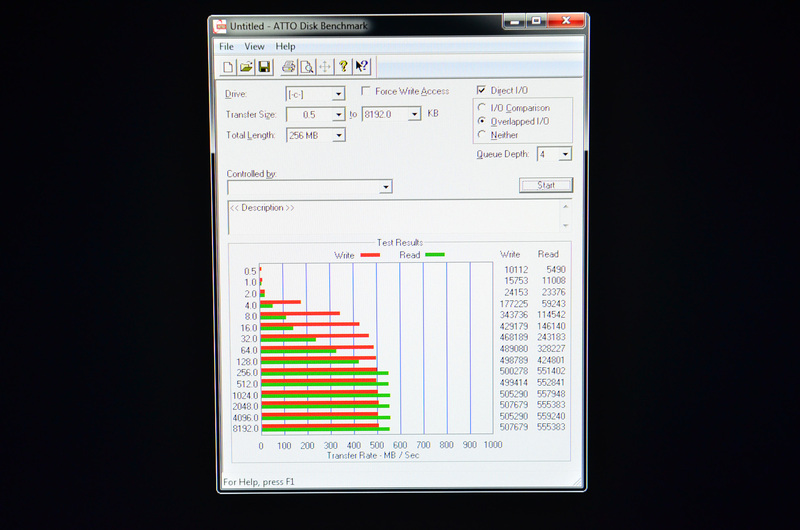 The basic performance specs look pretty good, at 90K IOPS 4K reads/writes and over 500MB/s sequential reads/writes. There's obviously quite a bit to building a good SSD so we'll reserve final judgement until we get drives in house. It's good to see Corsair being very aggressive and pursuing a relationship with a new controller vendor. The LAMD relationship is exclusive to Corsair for the near future. Corsair presented ATTO results for two Neutrons in RAID-0 as well as a standalone Neutron GTX (above). The drives are all 7mm 2.5" models, with the first shipments targeted at July. Link a Media Devices? I think someone needs to get fired for that name. The CEO founder and also master engineering design architect came up with that name, so I'm sure everyone agrees with you friendly ghost. Perhaps you'd like to give them their market area rollout plan corrections now as well, and of course don't forget some price criticism. I heard the CEO was a frat member of LAMDA LAMDA so don't expect changes too quickly that comport with your immensely skilled renaming. I assume you are talking about the <4KiB read rates. I did some profiling on my own system and 4KiB were by far the most common IO size. There is still a good chunk of IOs smaller than 4KiB and most of the rest being in the 4KiB-256KiB range, with just a smattering of IOs bigger than 256KiB.